CR Note: Gone hiking! I will return on Thursday, Oct 4th. There will be a few posts on Tanta today. 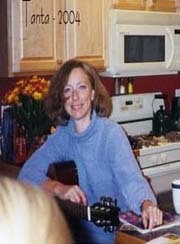 In December 2006, my friend Doris "Tanta" Dungey started writing for Calculated Risk. If you want to understand the mortgage industry, read Tanta's posts (here is The Compleat UberNerd and a Compendium of Tanta's Posts). The following is not an exhaustive discussion of all of the issues involved in foreclosures and REO. It’s a start at unpacking some of the concepts and definitions. We have been seeing, and are going to continue to see, a lot of information presented on foreclosure sales, REO sales, and their impacts on existing home transaction volumes and prices in various market areas. As always with “UberNerd” posts, this is long and excruciating. Proceed with typical motivation as you may consider your own best interest in an open market in blog postings. Servicers have two major types of servicing portfolio: loans they service for themselves and loans they service for other investors. In accounting terms, the “compensation” is the same, meaning that even if you are the noteholder, you pay yourself to service the loans in the same way that an outside investor would pay you, and it shows on the books that way. The differences in compensation stem from the basic fact that one is generally more motivated to do a good job servicing (particularly collecting and efficiently liquidating REO) for one’s own investment than for someone else’s. Also see In Memoriam: Doris "Tanta" Dungey for photos, links to obituaries in the NY Times, Washington Post and much more.